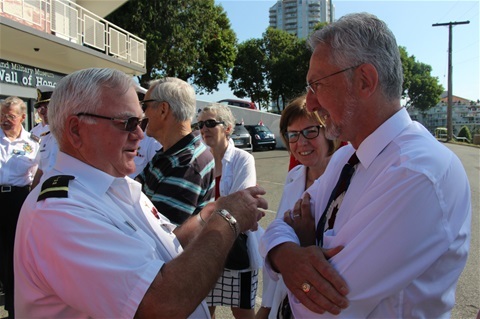 Bill Brayshaw, MP Sheila Malcomson, MLA Leonard Krog. 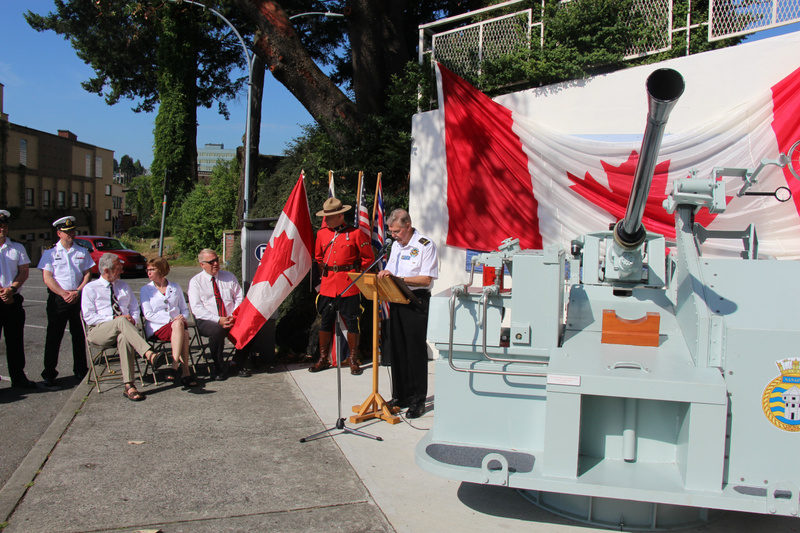 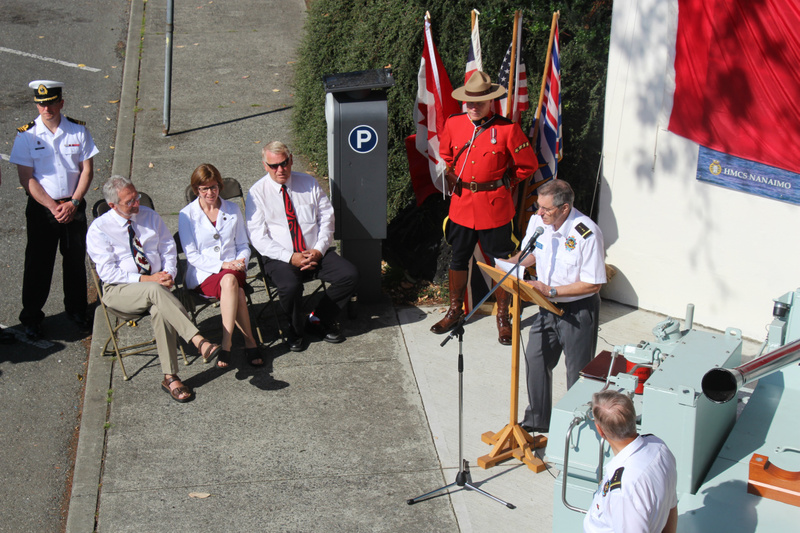 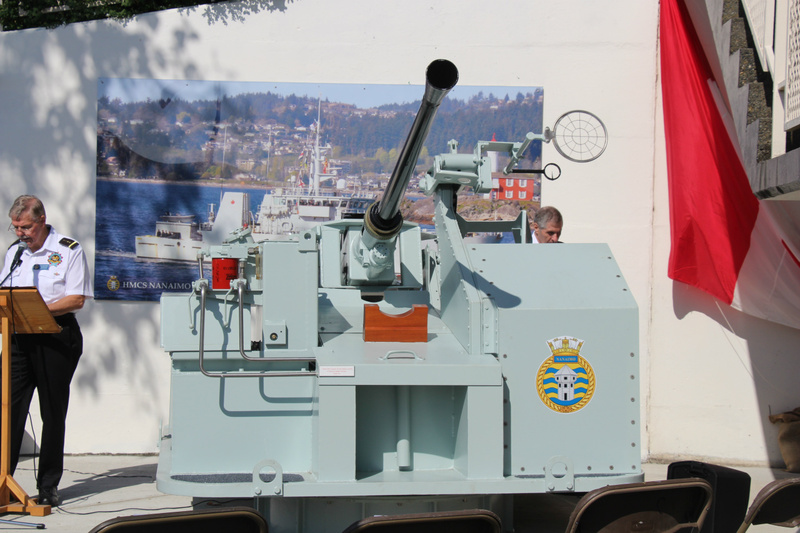 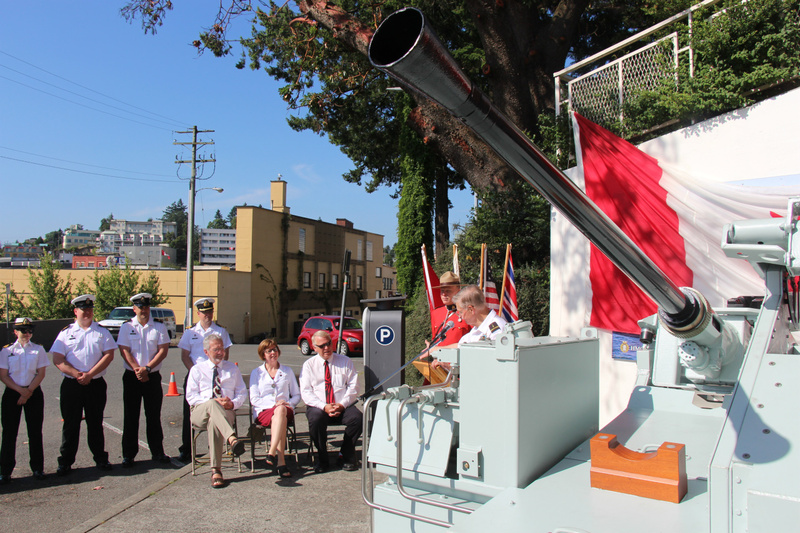 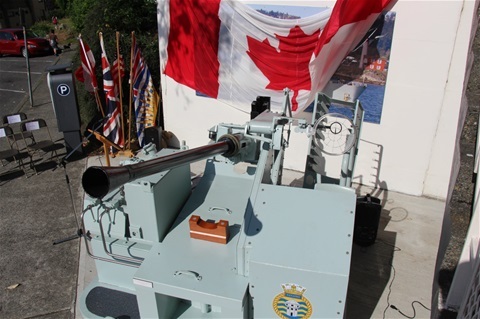 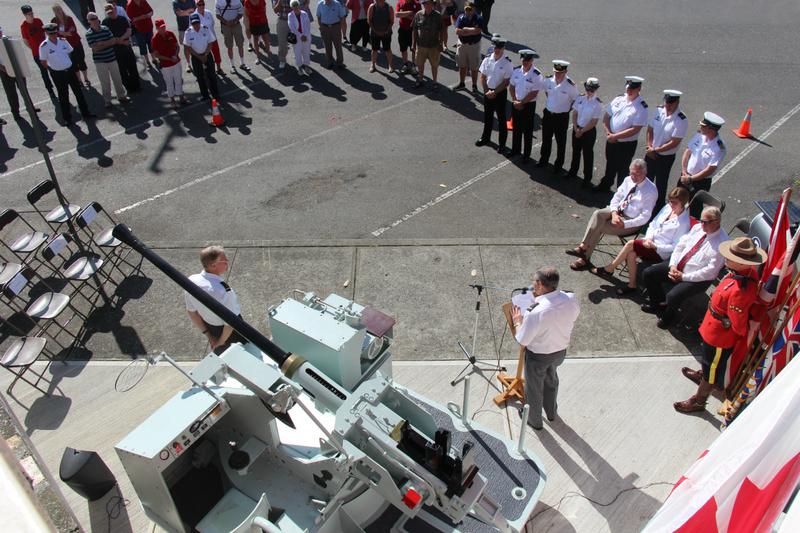 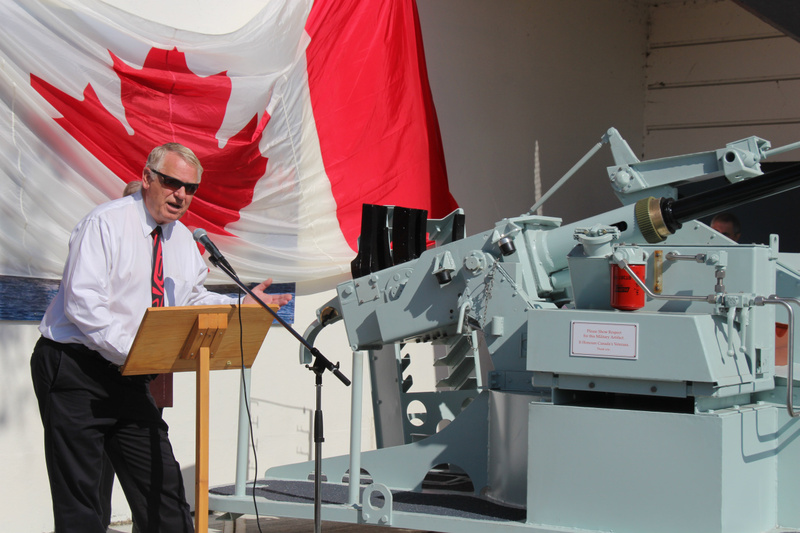 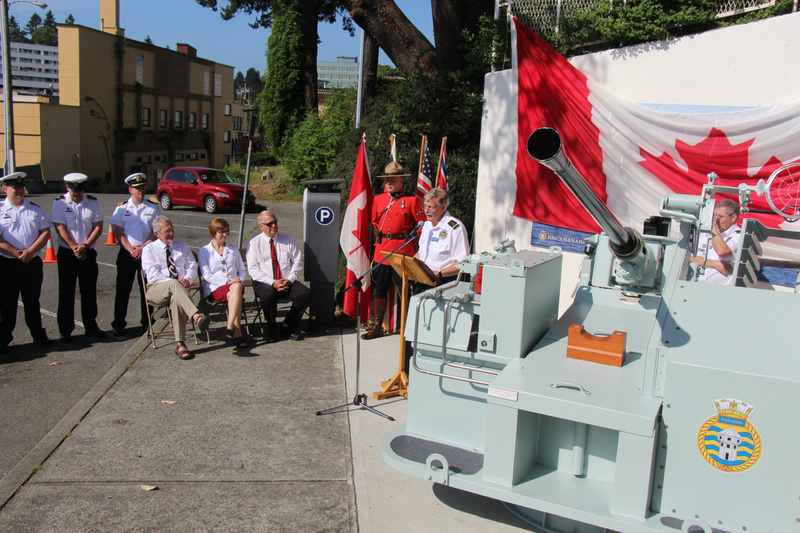 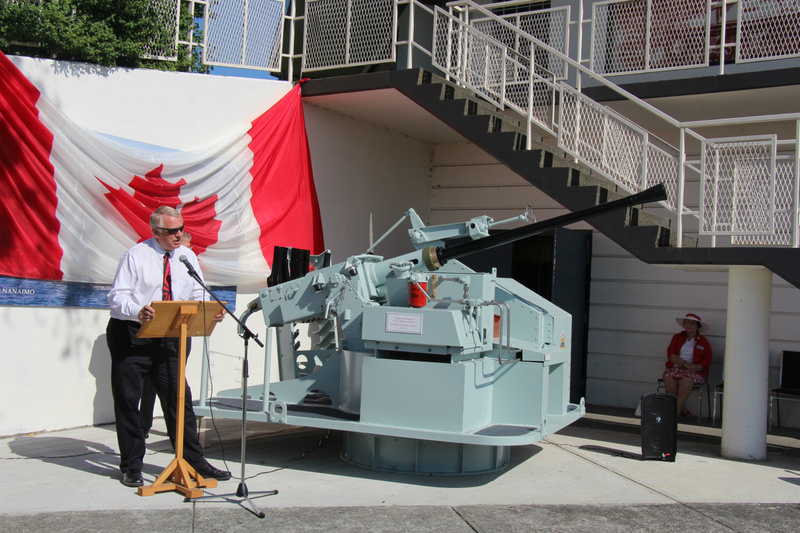 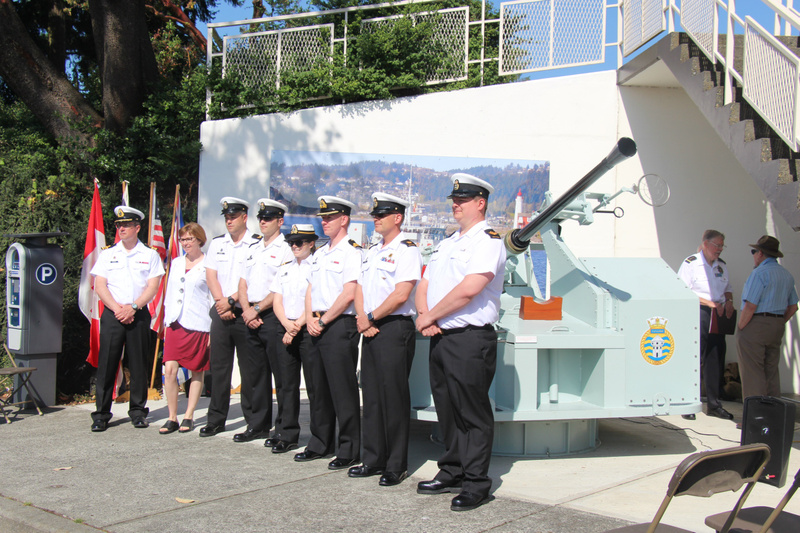 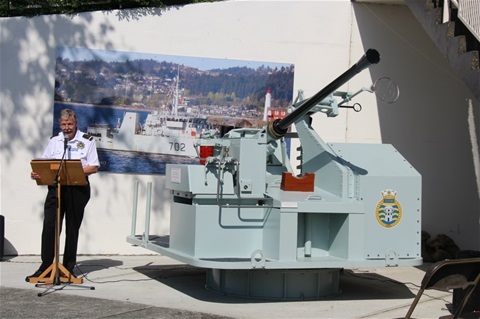 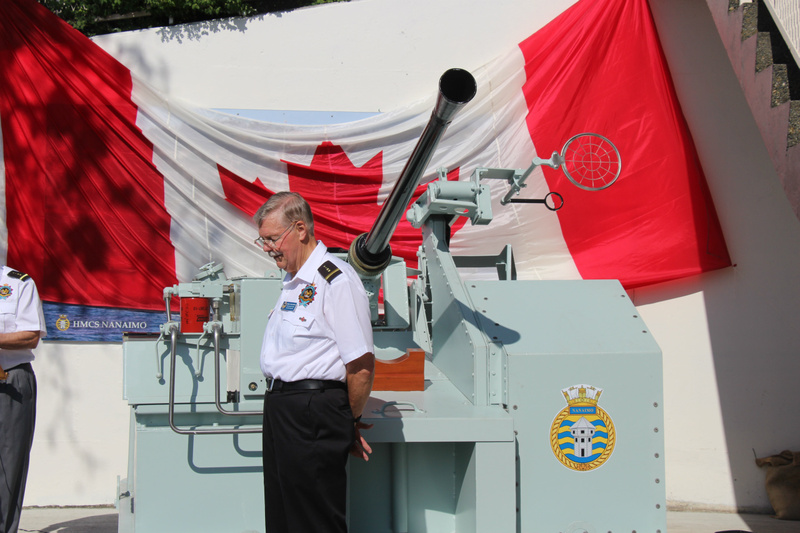 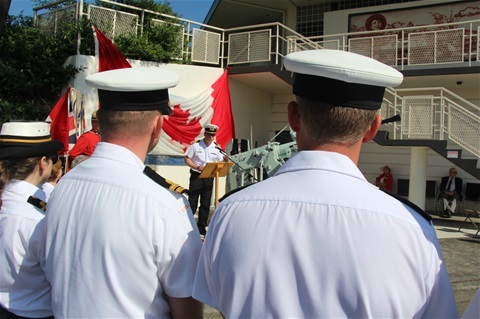 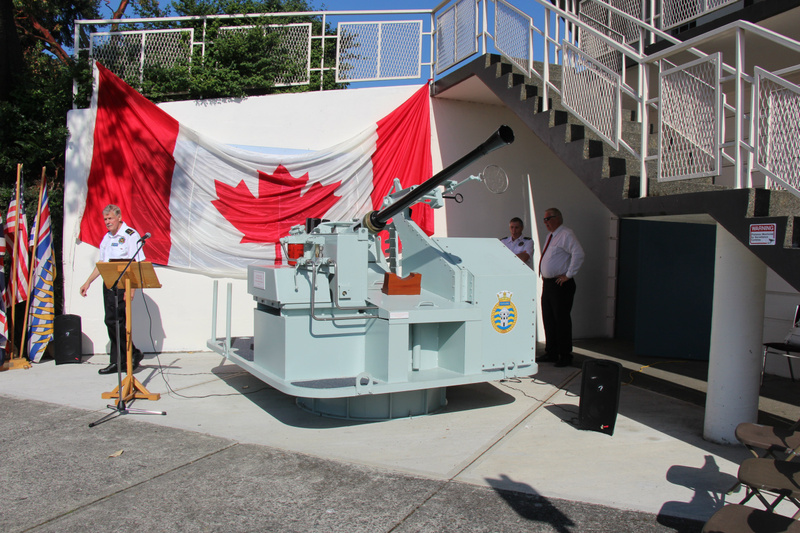 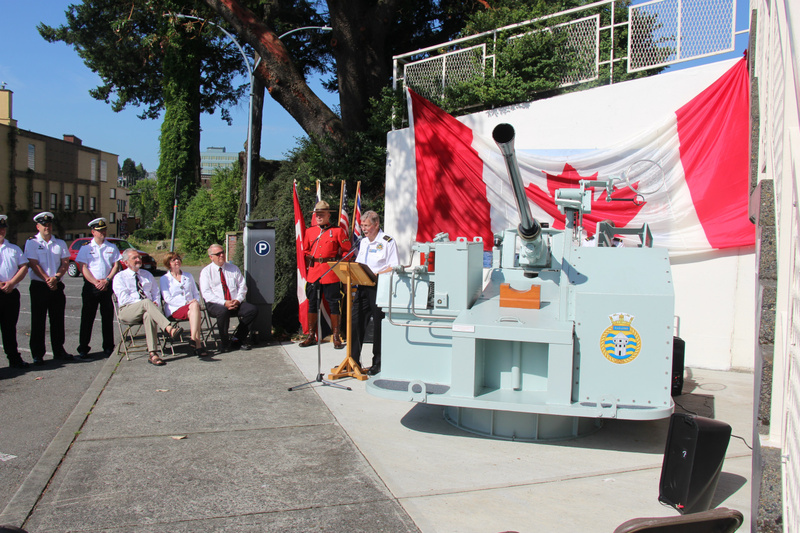 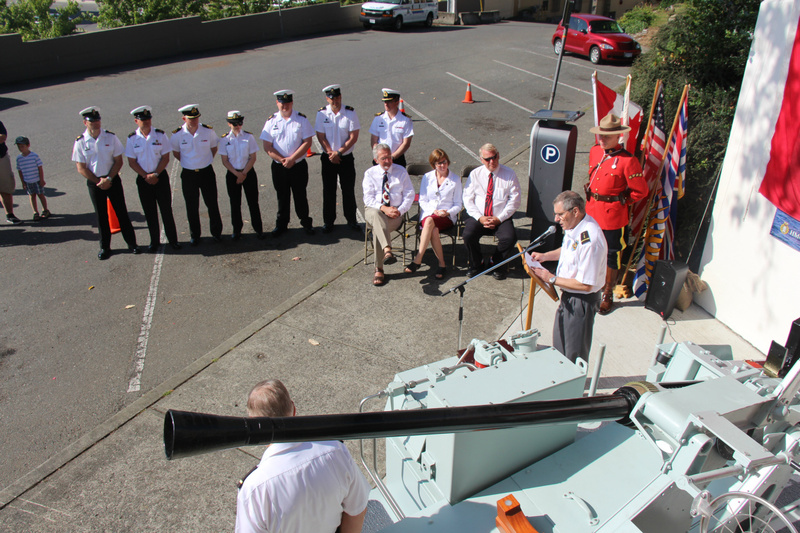 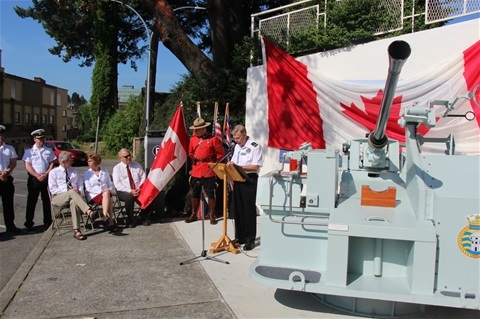 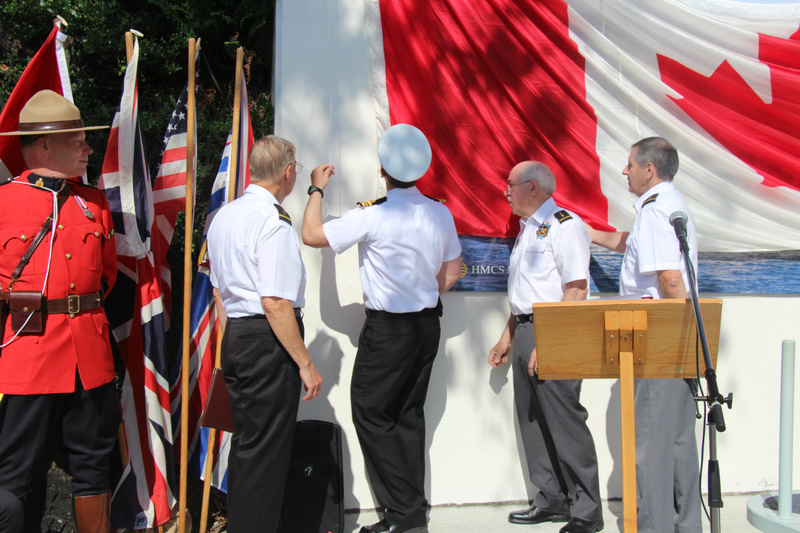 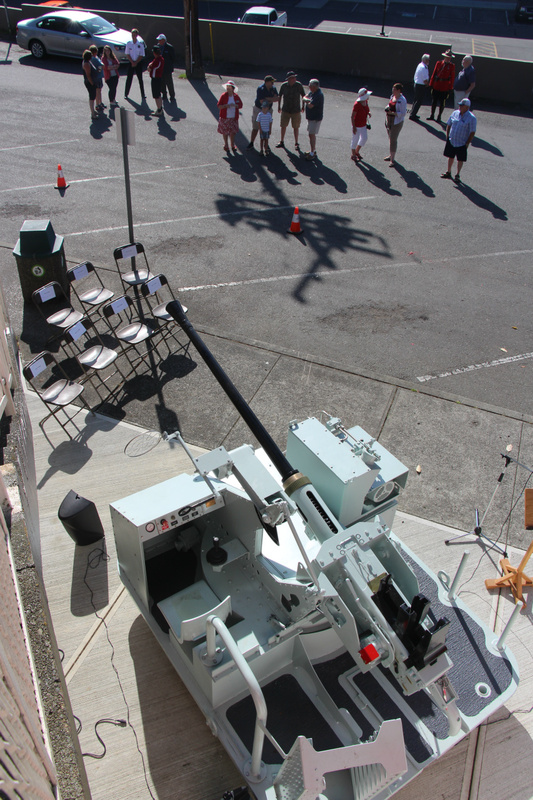 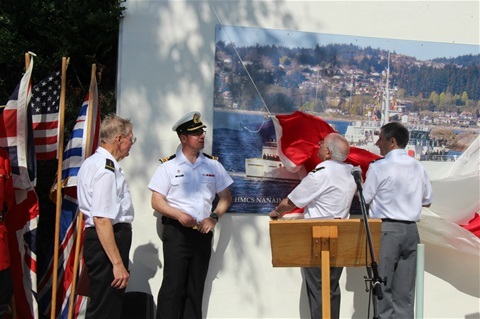 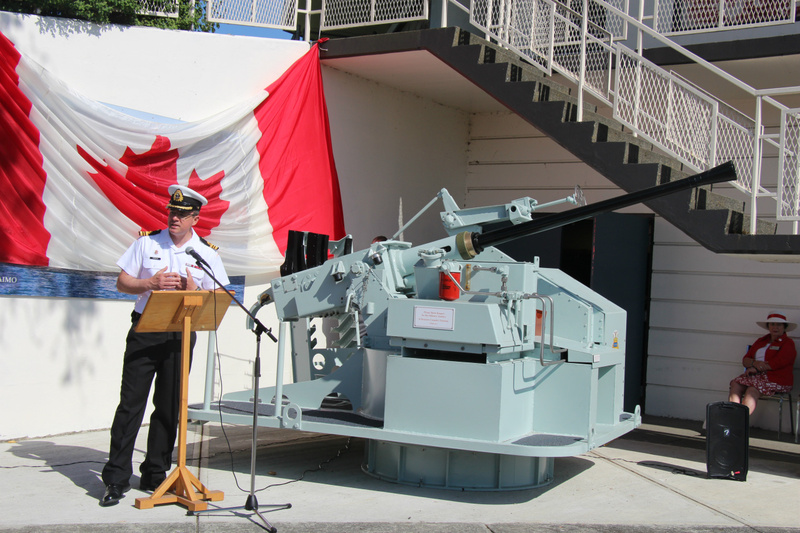 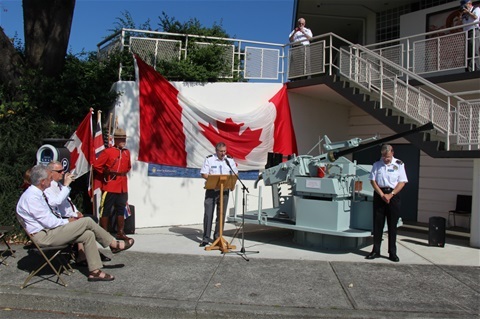 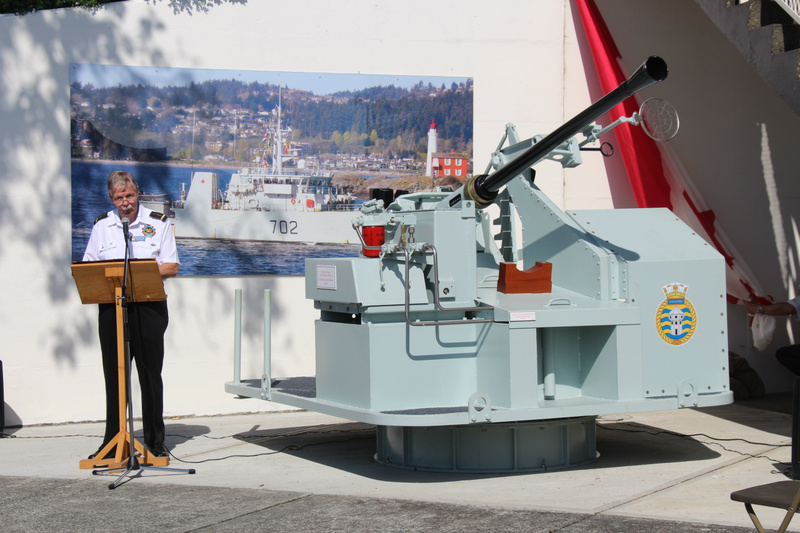 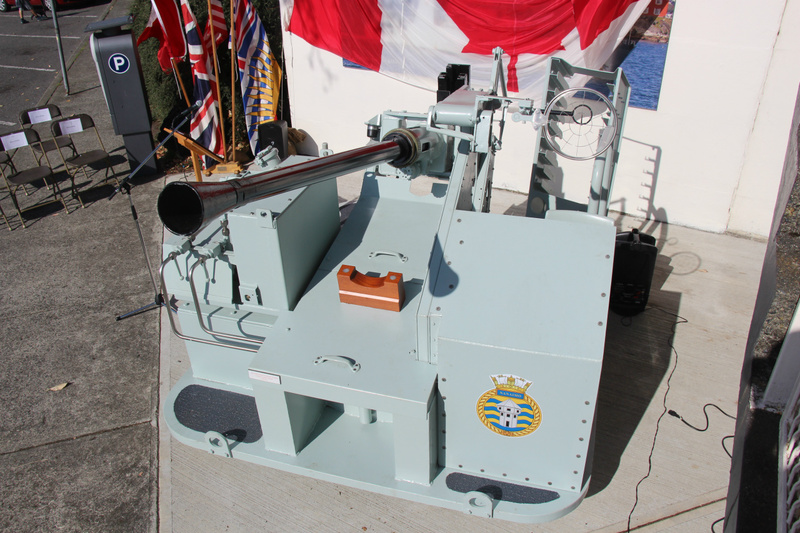 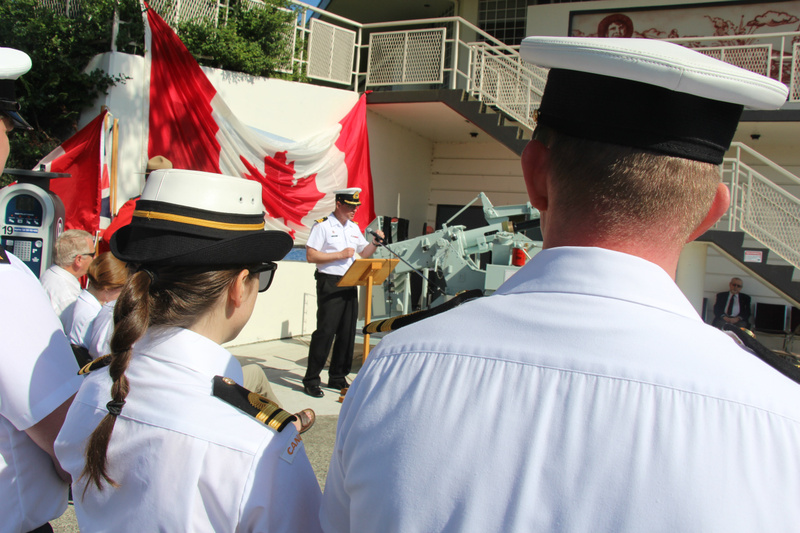 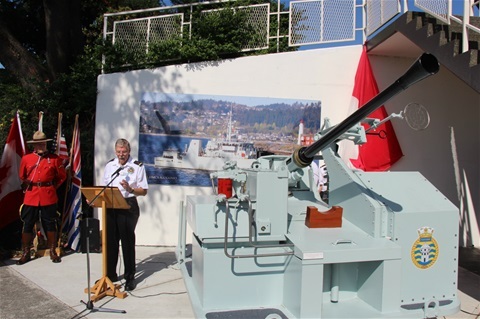 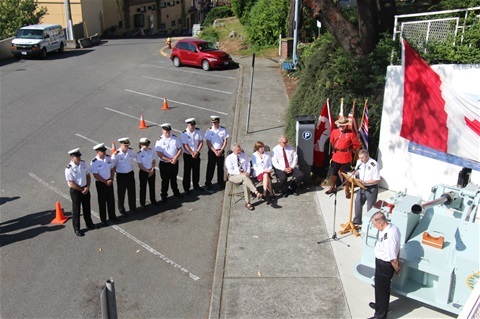 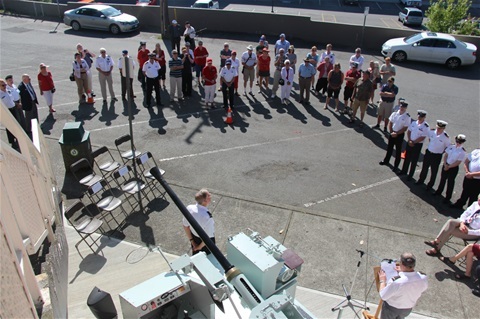 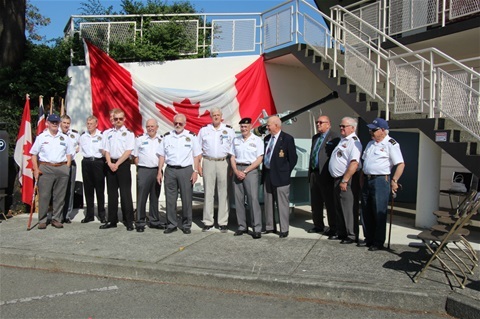 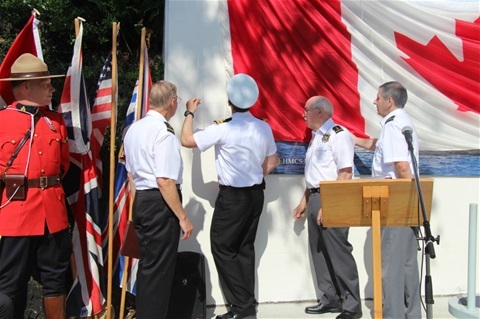 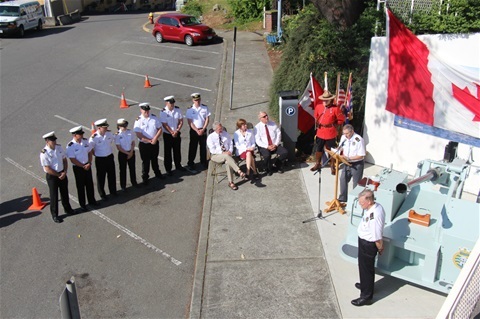 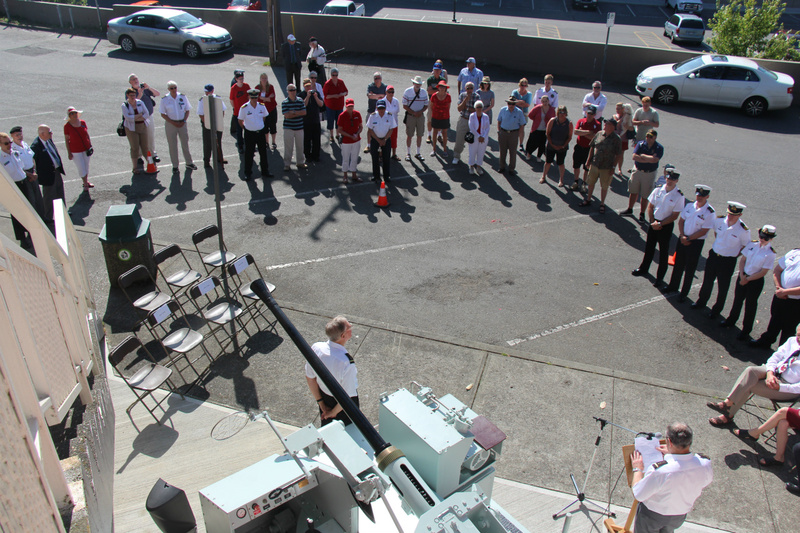 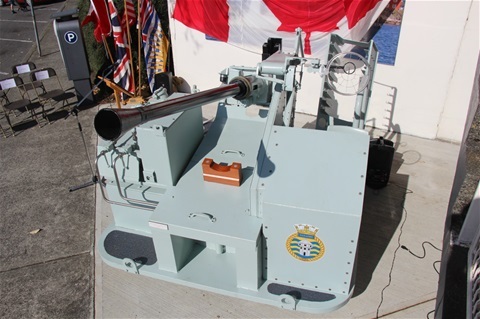 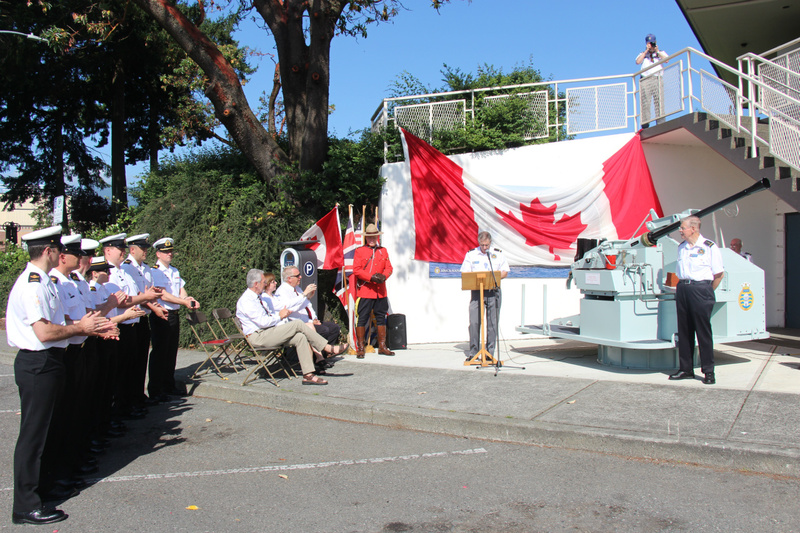 July 1, 2017 - The original Bofors 40mm gun from HMCS Nanaimo has been placed at the Vancouver Island Military Museum in Nanaimo. Officers and crew from the ship participated in the dedication ceremony.